Altura Mining has overcome a series of setbacks on its journey towards achieving stage one target nameplate capacity of 220,000 tonnes a year at its Pilgangoora lithium project in Western Australia. The company faced several challenges in maintaining stable production throughput at the plant. 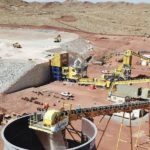 Considerable downtime followed necessary modifications of the plant’s primary crusher, ball mill and tailings thickener. 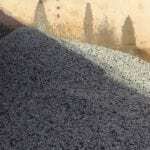 Following completion of the modifications, steady throughput has been reported, reaching around 93,000 tonnes or 72 per cent of crusher capacity in December last year. Altura stated in an ASX announcement that the performance was well in line with its ramp-up expectations. Company managing director James Brown said, “From an operational and commissioning standpoint, we continue to optimise our processes which have culminated in improving performances across the board. Altura plans to dispatch at least one cargo each month, moving to two cargoes each month once nameplate capacity is reached. The company has completed a definitive feasibility study on a stage two expansion of its project to double output to 440,000 tonnes a year lithium concentrate. Altura plans to make its final investment decision later this year.